TAKOMA PARK, Md. 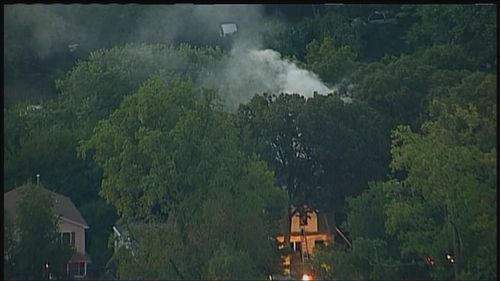 (WUSA9) -- The bulk of a fire at a house in Takoma Park has been knocked down on Friday morning. According to Montgomery County Fire and Rescue Service spokesperson Pete Piringer, firefighters arrived at the three-story home in the 6500 block of Kansas Avenue to see fire showing from multiple floors. Piringer says the person who lived at the home was not at home at the time of the fire.